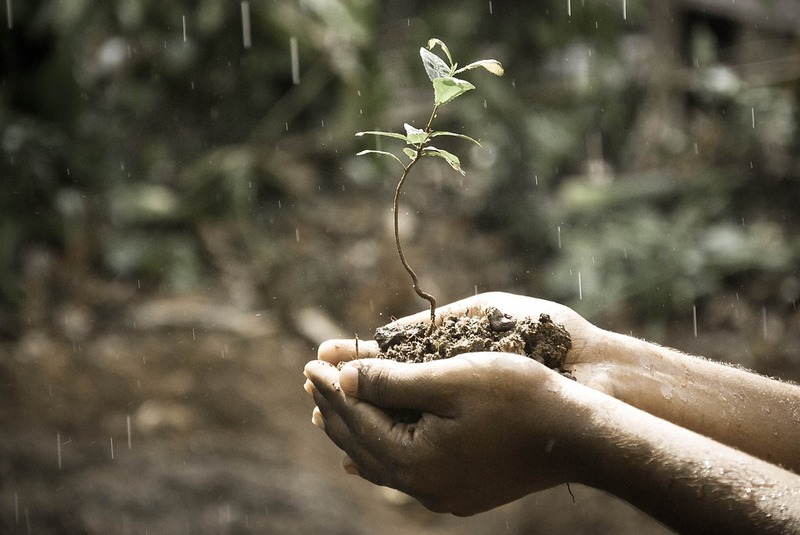 BDNF is to brain development what fertilizer is to plant growth. Can you take nootropics for BDNF? It’s a similar question to: can you grow your brain? — a question which may cause reasonable skepticism. After all, aren’t neurons finite? What you get is what you get, so you better not drink that drink nor smoke those drugs? Sure, it’s not the best idea to destroy your brain cells on short bouts of drug-induced mania. But also: no, there are means to replenishing your brain, and, yes, one of those means is nootropics that increase brain-derived neurotrophic factor (BDNF) expression. But which nootropics? And how? Read my Nootropics for BDNF guide to find out! The TL;DR Version: Brain-derived neurotrophic factor, or BDNF, increases neurogenesis (new neuron creation) and neurotransmission efficiency, supporting healthy thinking and mental performance. As we age, BDNF levels decline, paralleling a decline in cognitive performance. Nootropics for BDNF may help. What is Brain-Derived Neurotrophic Factor (BDNF)? Brain-derived neurotrophic factor, or BDNF (if you’re lazy …like me), is a neuronal protein that helps regulate the growth, maintenance, and survival of neurons across the central and peripheral nervous systems (or the CNS and PNS …again, if you’re a lazy nootropic geek). Essentially, BDNF facilitates neurogenesis, or the creation of neurons, supporting natural brain growth and development, as well as brain repair under conditions of brain injury. But why would you want more neurons? “More neurons” isn’t exactly all that BDNF accomplishes, strictly speaking. Natural synaptic plasticity seems to vary on a “use it or lose it” basis. The more stimulation a pair of neurons experience, the greater the synapse strength between them. This partially explains how learning and practice improves performance, roughly speaking. The more you practice a certain skill or behavior, the greater the associated synapses become. Inactivity, on the other hand, leads to synaptic atrophy and stagnation. Healthy synaptic plasticity contributes to healthy cellular communication in the brain. And healthy BDNF activity contributes to healthy synaptic plasticity. Beyond mature brain development, BDNF still plays an important role in sustaining healthy cognition, similar to nerve growth factor (NGF). Yet, when it comes to nootropic cognitive enhancement, is it even worthwhile to focus on BDNF? In other words, is altering with BDNF a good idea? — let alone possible? BDNF plays a key role in long-term memory consolidation via long-term potentiation. What is long-term potentiation, you ask? Essentially, long-term potentiation, or LTP, involves long-lasting enhancement of synaptic plasticity; typically involving long-term memory neuronal pathways. 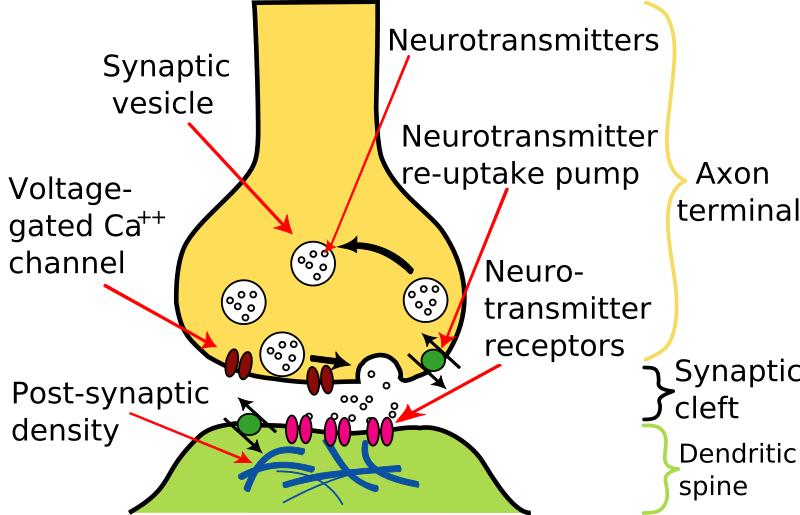 Synaptic plasticity may vary, yet LTP involves long-term changes in neuron-to-neuron connection strength. LTP helps regulate long-term memory formation in the hippocampus, the brain’s memory storage unit. 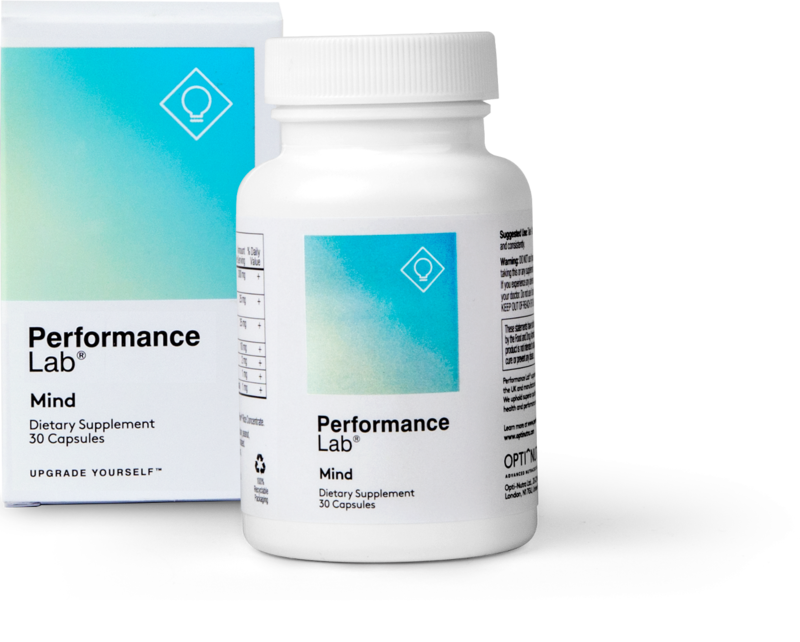 By promoting LTP, BDNF helps maintain memory consolidation and recall. This is a continuation from the previous point: BDNF helps maintain memory consolidation and recall, thereby improving learning capacity. After all, learning is essentially the practical function of memory. Information goes into the brain so that later that same information can be spoken or acted upon appropriately. Poor synaptic plasticity and BDNF expression has been linked to mood disorders. Certain severe mood issues seem directly associated with low BDNF levels, indicating that improving BDNF status may be a primary goal of mood enhancement. This seems to explain why certain nootropics and pharmaceutical drugs known to substantially boost BDNF are treated by many as significant mood boosters. Pine bark possesses a rich antioxidant profile to protect itself against the elements. As somewhat of a nootropic newcomer, Maritime Pine Bark Extract remains fairly unknown among many of my fellow nootropic geeks. And that’s a damn shame, considering how awesome this herbal noot extract is for neuroprotection and neuroregeneration. 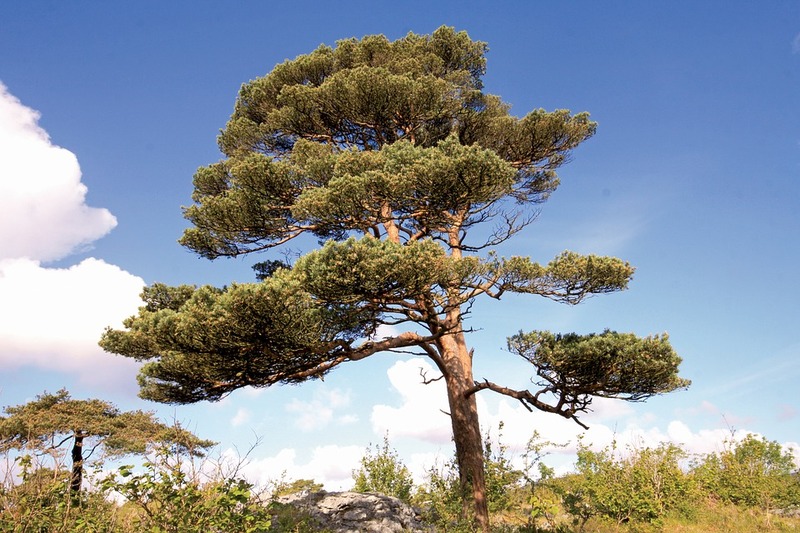 Supplying an incredibly rich antioxidant profile, maritime pine bark extract helps protect the brain against free radical damage while also promoting the production of BDNF in the hippocampus and prefrontal cortex. Memory and Learning (hippocampus) – information processing, storage, and recall. Complex Cognitive Processes (prefrontal cortex) – such as personality behavior, problem-solving, and decision-making. In addition to benefiting brain regeneration via BDNF enhancement, maritime pine bark extract also seems to encourage better cerebral circulation (or bloodflow) and brain energy — the latter due to the increased delivery of oxygen and nutrients to the brain. Plenty of research pins this nootropic down as a focus sharpener, assisting with cognitive impairments related to inattention and hyperactivity. Really, maritime pine bark extract seems to be a great nootropic ingredient for general cognitive health and performance. Sourced from Camellia sinensis, L-Theanine is the “green tea” amino acid responsible for the calm, relaxant effects associated with all of our favorite teas — green tea, black tea, white tea, etc. For acute cognitive enhancement, L-theanine seems to work by promoting alpha brainwaves, the brain frequencies associated with calm, creative — even meditative — thinking. Yet, the compound has also been shown to improve BDNF activity… via unknown bio-pathways. As compared to placebo, L-theanine administration demonstrated cognitive improvements that correlated with improvements on circulating BDNF levels, as well as stress hormone cortisol levels, for psychologically impaired patients. In vivo upregulations of BDNF protein levels in the hippocampus of mice brains exposed to L-theanine. Know who invented Noopept? 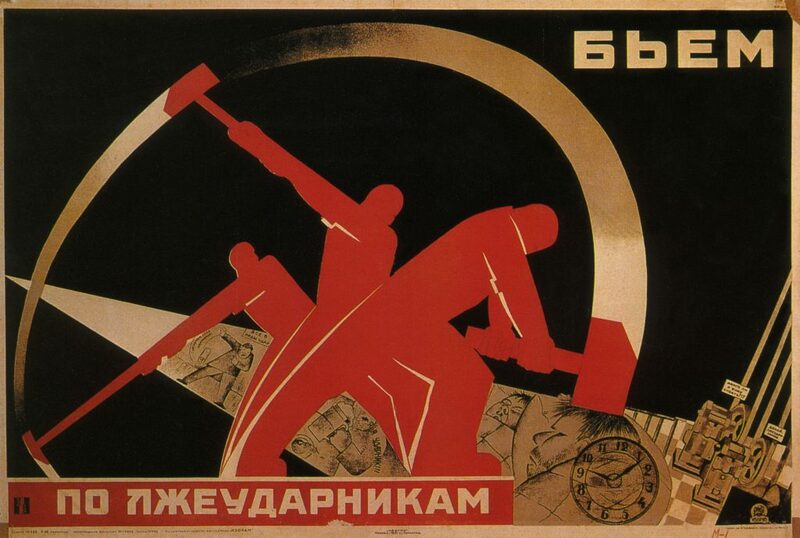 That’s right: them Soviets! Often misquoted as a racetam, Noopept is a racetam-like nootropic drug with effects similar to piracetam… except way better. Whereas piracetam requires weeks of daily supplementation to reach peak effect, Noopept’s “psychostimulatory” benefits may be felt upon first take, resulting in quickened cognitive processes minus the usual side effects associated with Adderall and other intense stimulants. It’s a cholinergic acting nootropic, and, yes, it seems to improve BDNF levels in the hippocampus. Or, at least, the rat hippocampus. For rat subjects, both single and chronic (up to 28 days) doses of Noopept demonstrated an increase in both nerve growth factor (NGF) and BDNF RNA concentrations in the hippocampus. This suggests that part of Noopept’s memory and learning boosting properties may be attributed to a positive impact on the hippocampus, the brain’s memory storage center. Under conditions of cognitive impairment, Noopept seems to possess significant brain restoration benefits, as demonstrated by both human and rat models. While more research on this cognitive enhancer would be nice, the drug is backed by plenty of positive anecdotal evidence. Although, to the average, healthy user, I recommend only supplementing Noopept every now and then, as the “psychostimulatory” effects may wear off with frequent use. The legendary “fountain of youth” herb that’s been romantically connected to Li Ching-Yuen, the man claimed to have lived 250 years, Gotu Kola has a strong reputation as a life-extending botanical as well as a bit of a mood booster. While the 250 years claim seems suspect, the herb does possess an impressive range of antioxidant, anti-inflammatory, and anti-anxiety compounds believed to improve cognitive clarity and longevity. And one benefit to Gotu Kola’s bio-active profile: increased BDNF release. Rhodiola is fantastic for mental performance and clarity. One in vitro study shows positive effects on BDNF. The in vitro study in question found a long-lasting improvement on BDNF levels in cells exposed to salidroside, one of Rhodiola’s bio-active constituents. And when I say “long-lasting” I mean that the BDNF benefits outlasted the time of administration. The BDNF benefits lingered, so to speak, which is a great sign. However, beyond this there isn’t much on Rhodiola’s BDNF benefits. You may argue that the herb’s powerful adaptogen resistance to stress may have indirect improvements on BDNF and other brain boosting factors. But we’ll need to see more clinical research to verify this. 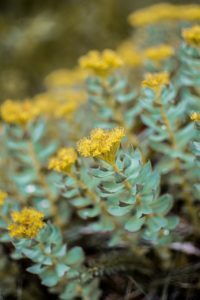 Even so, Rhodiola’s a great herbal nootropic to add to your stack. Many redditors view Semax as the nootropic to try out. No doubt, the cognitive enhancement benefits of this nootropic drug are great, especially if you’re able to get your hands on SubQ Semax (and you’re comfortable with SubQ administration). And the best part of Semax: it accomplishes its cognitive enhancement benefits with little to no side effects. Except for one: hair loss. Ongoing Semax supplementation seems to effect temporary hair loss due to the drug’s significant increase in BDNF expression. In theory, Semax seems to drastically increase BDNF, way beyond the likes of the natural BDNF boosters on this list. Granted, the accounts of hair loss with Semax are largely anecdotal; yet, it’s such a frequent complaint that it warrants consideration. Not that this should get you worried about hair loss with any of the previous entries on this list. I only make a point of this with Semax as this side effect seems particularly associated with Semax’s boost on BDNF. Ever heard of Intermittent Fasting? It’s an increasingly popular diet trend, and for good reason: intermittent fasting is an easy lifestyle change that requires no actual “dieting” in the traditional calorie restricting sense of the word, and it’s backed by clinical science. Of course, any quote-unquote “diet” trend deserves a healthy amount of skepticism, intermittent fasting included; however, the theory behind intermittent fasting makes sense. Our bodies aren’t designed for constant eating. They’re designed for bouts of feasts and fasts, as determined by our hunting-&-gathering origins. Under fasting conditions, the body adapts to the “stress” of fasting by rerouting brain and body metabolism towards burning fat for energy, re-sensitizing insulin receptors, increasing BDNF activity, and more. The “stress” of hunger primes the brain to deal with “stressful” situations by increasing synaptic plasticity and neuronal connectivity via brain-building factors. Such nootropics as listed above may pair well with an intermittent fasting schedule for a totally recharged, revamped brain. As we age, BDNF activity decreases due to a number of factors. For most of us, it’s incredibly unlikely that any one single factor is contributing to decreased BDNF expression. And, thus, taking a multi-faceted supplement stack approach towards boosting BDNF seems the smarter option over supplementing a single, standalone ingredient. Here are some of the best nootropic supplements for BDNF. Of the nootropics listed above Mind Lab Pro supplies three: Maritime Pine Bark Extract, L-Theanine, and Rhodiola — in addition to several more awesome brain boosters. Few nootropic stacks supply maritime pine bark extract, making Mind Lab Pro unique in that category; however, this stack also supplies a potent extract of Lion’s Mane Mushroom, which also seems to increase brain growth and development via NGF enhancement. And this only covers the neurogenesis aspects of Mind Lab Pro. 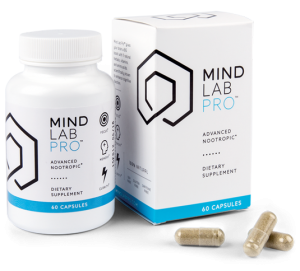 With acute cognitive enhancers, such as N-Acetyl L-Tyrosine and L-Theanine, Mind Lab Pro delivers immediate cognitive enhancement in addition to its more long-term brain building benefits. 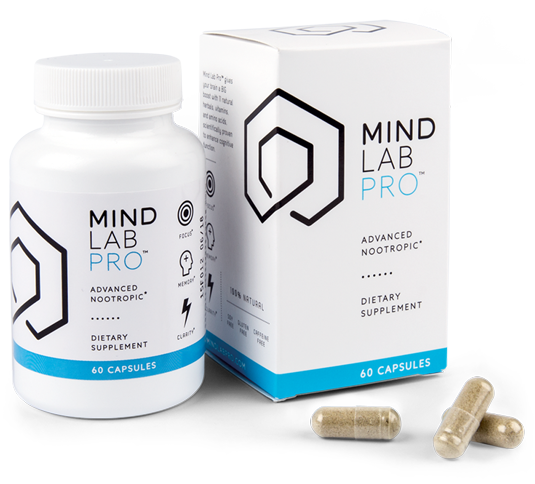 All-in-all, Mind Lab Pro is a smart stack that offers comprehensive brain coverage with a simple, refined stack of nootropics. Suppose you dig the maritime pine bark extract found in Mind Lab Pro, yet you’d prefer to have it in a simpler format. 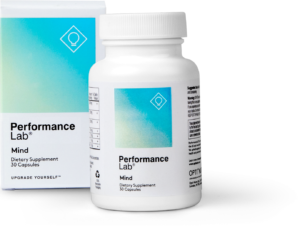 Performance Lab Mind essentially offers a simplified version of the Mind Lab Pro formula, delivering the BDNF-boosting maritime pine bark extract alongside citicoline (as Cognizin®), phosphatidylserine (as Sharp-PS®), and N-Acetyl L-Tyrosine. It’s a sweet, simple stack, great for daily brain health enhancement, yet small enough to easily stack with other supplement stacks. If anything, you may buy standalone Noopept separately and stack it with Performance Lab Mind’s citicoline, which synergizes well with Noopept. This not only significantly boosts day-to-day cognition but hits those BDNF notes with only a few ingredients. Compared to the original Awaken formula, Awaken Gold is damn near identical — with one exception: Noopept. 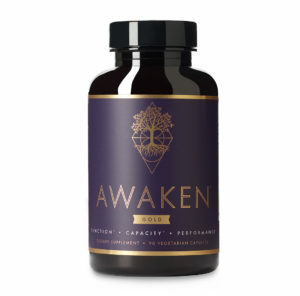 Rather than supplying your two standard options of caffeine vs. non-caffeine with their brain health stack, Awakened Alchemy went a more nootropic route by supplying Noopept vs. non-Noopept versions of Awaken. And if you’re after those BDNF boosts, Awaken Gold seems to be the way to go. 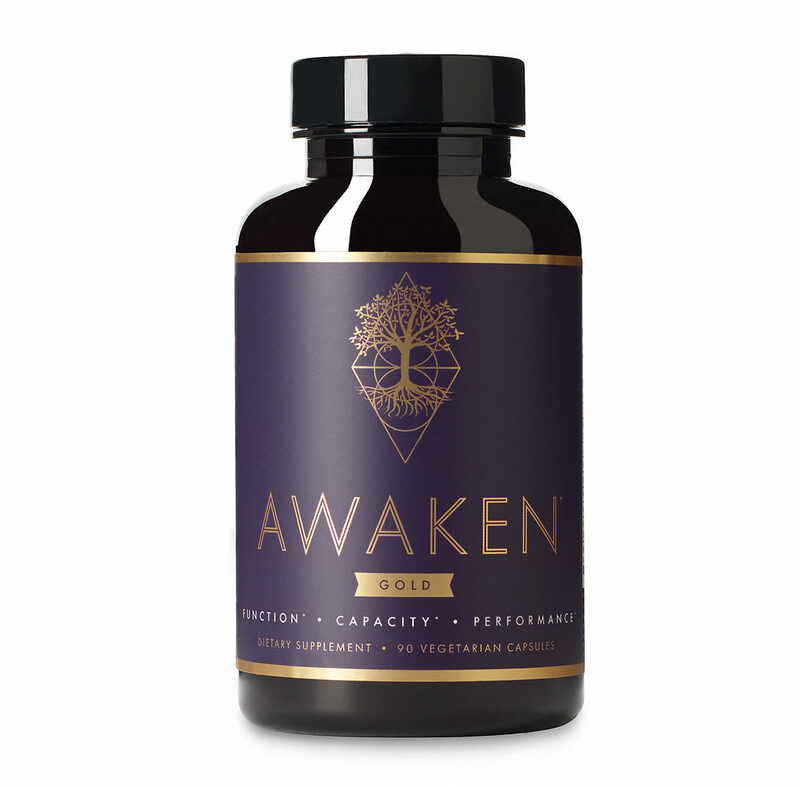 Not only does Awaken Gold supply Noopept but they also stack it with other awesome cognitive enhancers, including citicoline, L-theanine, and ashwagandha for a more calm, relaxed cognitive experienced. Sit back, relax, and enhance those neural connections, baby. The herbal adaptogens and plant-sourced antioxidants in particular seem best for BDNF boosts and brain building in general. Many natural antioxidants seem to increase BDNF activity, and the antioxidants found in Neurogenika are no exception. Aside from nootropics and intermittent fasting, are there other ways to improve BDNF levels? Absolutely. And I’m sure you already know what they are: aerobic exercise, diet, sleep… You know, those things we tend to avoid, despite how great they are for us. On that note, one of those in particular — aerobic exercise — seems particularly great for BDNF expression, even for the young and healthy. So, if you’re super serious on BDNF boosts, here’s the plan: start an aerobic exercise plan, set up an intermittent fasting schedule, and introduce the nootropics listed above into your diet. You do all of that and you’ll have brains growing out of your ears! Not really. But you’ll feel really good and have an optimized brain at the ready. Not too shabby, right? Only a BDNF-deprived fool would say “No” to that.